I was able to help my good friends over the weekend, and interviewed prospective job seekers. A lot of people do that, right? Yes, but these job seekers are beneficiaries of Smile Train, and have undergone cleft operations. Kimmy Flaviano, Country Head of Smile Train Philippines, and Karen Yao, one of the best trainors and organizational development experts out there, have been friends for decades. And more than the occasional dinner and catch up sessions, this was one engagement I was really excited about. 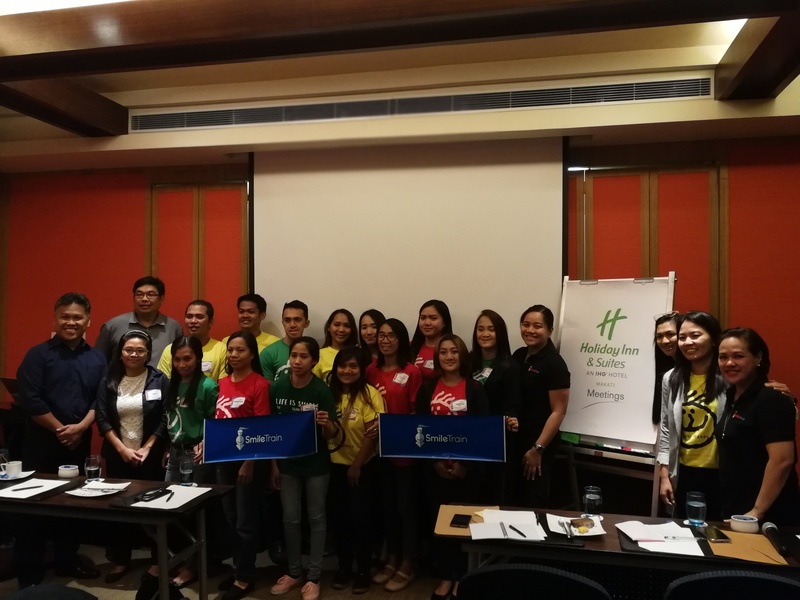 It was held at Holiday Inn Makati and there were about 15 people who were getting ready for their Smile Training 🙂 I was one of 5 interviewers – the others were part of other industries, and for sure looked scarier than me (if they read this, please hire me in the future). I got to speak to 3 of the participants – Rojan, Rhea and Kath – and their struggles are overcome by their passion and confidence to really go out there and make a difference. We hope that our short time spent with them was able to push them in the right direction and take the first steps to achieving what they want. A Saturday well spent, with an organization that does so much good for the country. Great job, Smile Train!